Moving averages (mostly EMA) are also used just like traditional support and resistance levels.It is the greatest advantage and benefit of them. The simple moving average is an arithmetic mean of price data. It is calculated by summing up each interval’s price and dividing the sum by the number of intervals covered by the moving average. For example, adding the closing prices of an instrument for the most recent 15 days and then dividing it by 15 will get you the 15 day moving average. Though the daily closing price is the most common price used to calculate simple moving averages, the average may also be based on the midrange level or on a daily average of the high, low, and closing prices. Moving average is a smoothing tool that shows the basic trend of the market. It is one of the best ways to gauge the strength a long-term trend and the likelihood that it will reverse. When a moving average is heading upward and the price is above it, the security is in an uptrend. Conversely, a downward sloping moving average with the price below can be used to signal a downtrend. This also applies to EMA. It is a follower rather than a leader. Its signals occur after the new movement, event, or trend has started, not before. Therefore it could lead you to enter trade some late. It is criticized for giving equal weight to each interval. The exponential moving average (EMA) is a weighted average of a price data which put a higher weight on recent data point. The weighting applied to the most recent price depends on the specified period of the moving average. The shorter the EMA period, the more weight will be applied to the most recent price. An EMA can be specified in two ways: as a percentage-based EMA, where the analyst determines the percentage weight of the latest period’s price, or a period-based EMA, where the analyst specifies the duration of the EMA, and the weight of each period is calculated by formula. The latter is the more commonly used. Because it gives the most weight to the most recent observations, EMA enables technical traders to react faster to recent price change. As opposed to Simple Moving Average, every previous price in the data set is used in the calculation of EMA. While the impact of older data points diminishes over time, it never fully disappears. This is true regardless of the EMA’s specified period. The effects of older data diminish rapidly for shorter EMAs than for longer ones but, again, they never completely disappear. 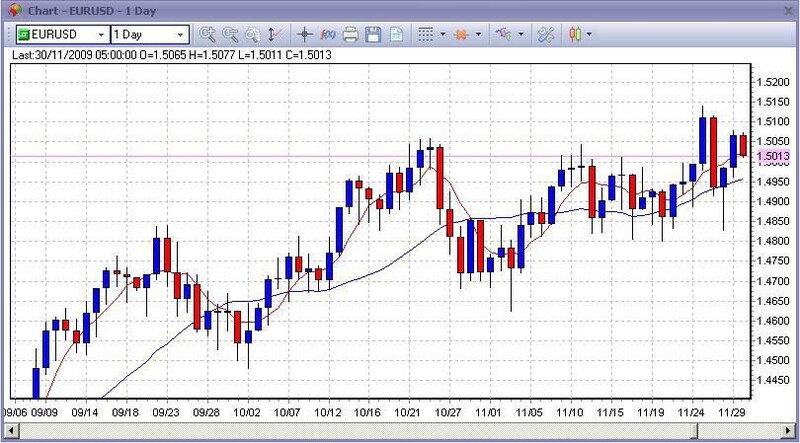 The greatest advantage of moving averages (mostly EMA) is that are also used like support and resistance levels. In this case they have the same function as the pivot lines, murrey match lines and trend lines.